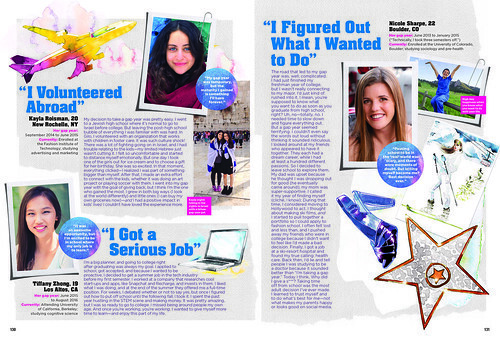 Oh how I love working for Seventeen Magazine. They always give me fun and colorful assignments. 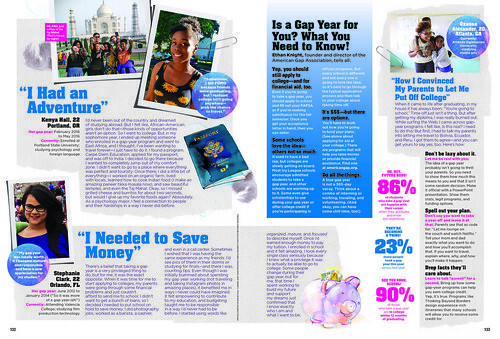 This latest is about whether or not to take a gap year prior to college.